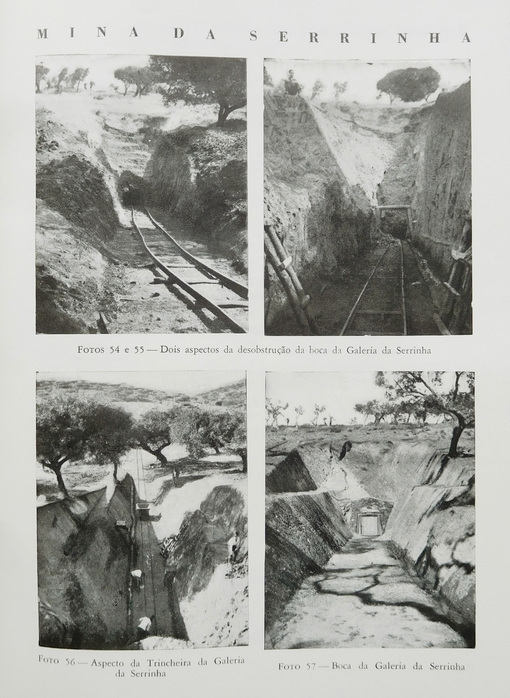 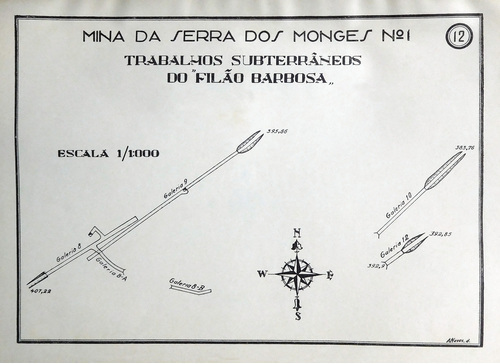 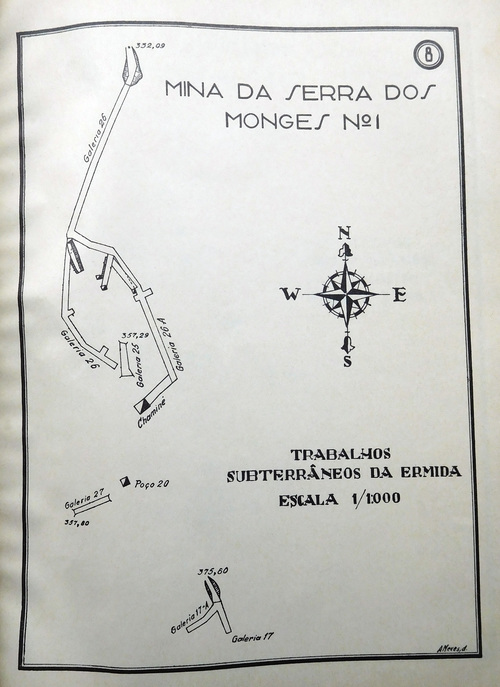 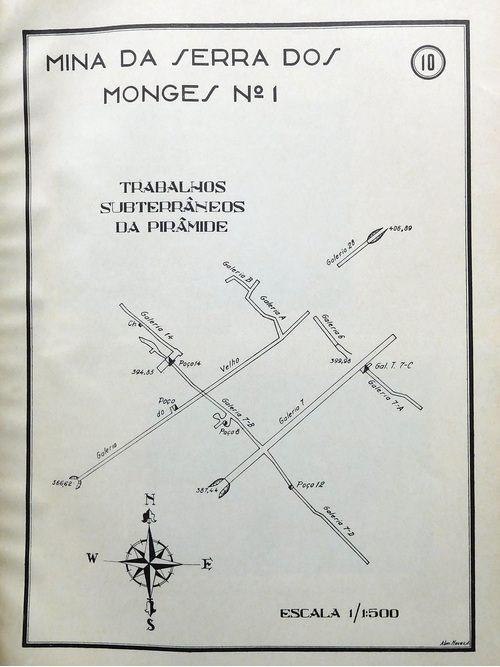 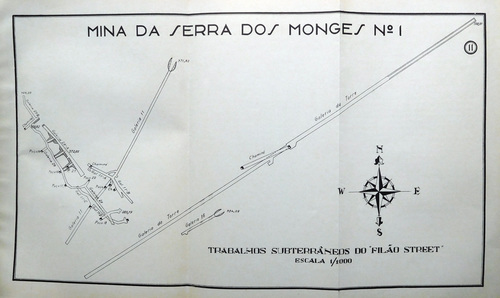 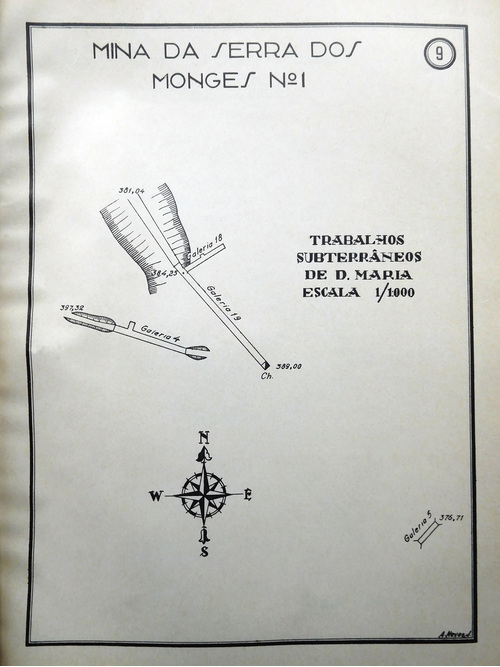 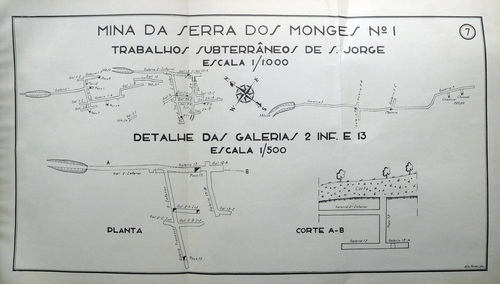 Trabalhos de S Jorge; Trabalhos da Ermida; SE of the first works: Trabalhos de D. Maria; Trabalhos do “Filão Street”; Trabalhos da Pirâmide; located NE of the previous ones: Trabalhos do “Filão Barbosa” and Trabalhos das Águas. 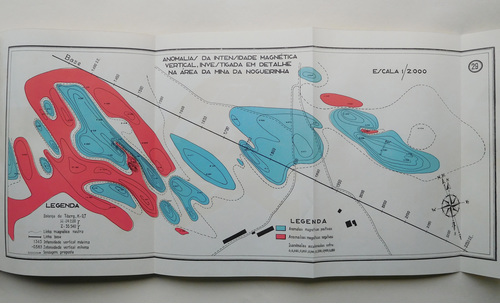 The objective of magnetic surveys of this kind is to investigate the sub-surface geology based on the anomalies of the Earth's magnetic field caused by the magnetic properties of the subsoil materials. 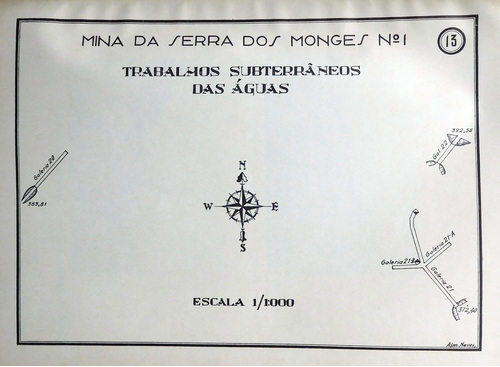 Although most minerals do not have this property, some types of rocks contain enough magnetic minerals to produce significant magnetic anomalies.